Represent Oak Park proudly with the Oak Park flag t-shirt! 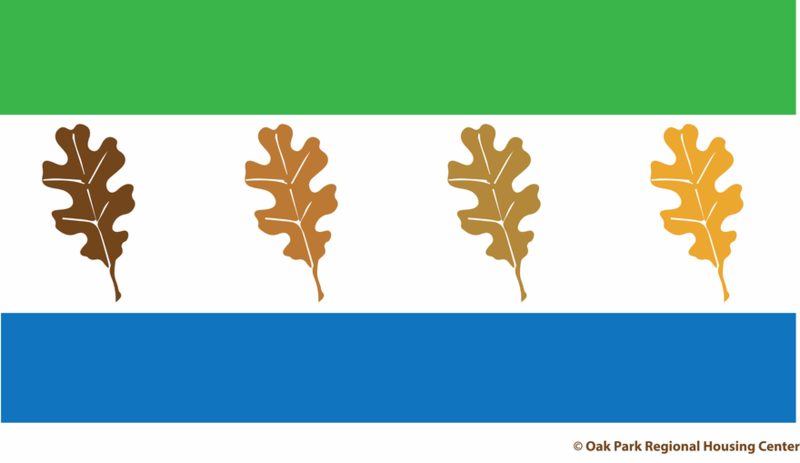 Based on Chicago’s flag, this flag is uniquely Oak Park. Like our Village itself, the flag t-shirt features a Green Line and a Blue Line, oak leaves, and a diverse range of colors. When you wear it, you’ll be showing everyone just a few of the reasons to love Oak Park! Shirts are $25 and available in men’s and women’s sizes, S through XL. Stop by our offices at 1041 South Blvd. and get yours today!